Landlords – How Good are Your Property Records? I’ve just been reading our newly updated tax report: ‘How to Master a Tax Investigation’, written by our tax investigation specialist, James Bailey. In it he has written a short section about the importance of good records and how, if the Tax Inspector is able to break your records, it can cause a great amount of trouble. The best defence is to have proper and carefully kept business records, and to make sure that the accounts are prepared in accordance with those records. Now this may sound easy but in practice most of us are sometimes a bit lazy about it and it is very important to keep proper detailed records. If you have any doubts about what records you should be keeping, ask an accountant. The first job of an inspector running an investigation is to “break the records” – that is, to demonstrate that they cannot be relied on as a basis for the accounts. Once they have done this they have a justification for substituting their own estimates of what they think the profits should have been. I cannot emphasise enough the importance of keeping meticulous records. All tax advisers – and tax inspectors – are well aware of a real case where HMRC were able to prove that one specific sale from a shop had not been recorded or declared in the accounts – the customer had become suspicious when she was asked to make out her cheque to a name different from the name of the shop, and had reported this to HMRC. You need to have good and proper records for your property business. 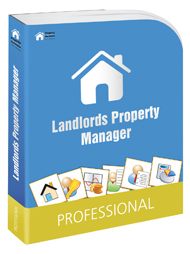 Our award winning Landlords Property Manager software will not only help you to keep good and proper records, but it will make your life as a landlord much easier. Click the link to learm more about the software solutions from Property Portfolio Software.